Bless Emeril for this one. Quite a few years ago, back when I used to go wine tasting every Spring…yes, before kids, we bought Port. Goooooooooood Port. Before I tasted this Port, I never was a Port-fancier. We were meandering from winery to winery, and walked our way into this particular storefront and were escorted to the back in the warehouse. One friend was already in a group, hovering over a barrel, looking very focused on what the winemaker was saying. The group moved on…she stayed. “Oh, I am just going to catch up with my friends here”, she said to him. I gave her a sideways glance. She raised her eyebrows and gave me that “don’t-draw-attention-to-me-just-listen-to-the-man” look with a little jerk of her head. The winemaker asked if we were all present and he began his presentation once again. I was catching it for the first time. She was on Round 2. This is a Portuguese-style Port. Warm undertones. They use *peach brandy* during the fermentation process. Common descriptors are: Black cherry, boysenberry, chocolate, spice and black pepper. Her glass charged out like a cash register drawer and in a shy, little voice she whispered, “Yes, please“. She was going for another round. This had to be a good one and it was. Honestly, I had never had anything like this Port before (being I was relatively new to the wine tasting circuit). “Are they all this good?”, I asked. “No“, she quickly replied and I think she was heading for a third. I told the Good Apple we should buy some, and we did. I believe that year we bought a single bottle. The next year, 3. The following year, half a case for ourselves and another half for friends and family who now had the same addiction appreciation and that is how it continued for years. It was Thanksgiving and we were watching the Food Network. Emeril was telling us about this cranberry relish. Whoop-di-doo. OH, wait… it has port in it. That means we would have to open a bottle. We made the recipe and have tweaked it over the years, but it is a staple on our table now, even when we are guests elsewhere. I am providing you with a recipe that I use for this post, however, I make a TON whenever I make this and it is all consumed. And the bottle of port doesn’t last either. The amounts are enough for 8 people at dinner and leftovers. Feel free to half it. 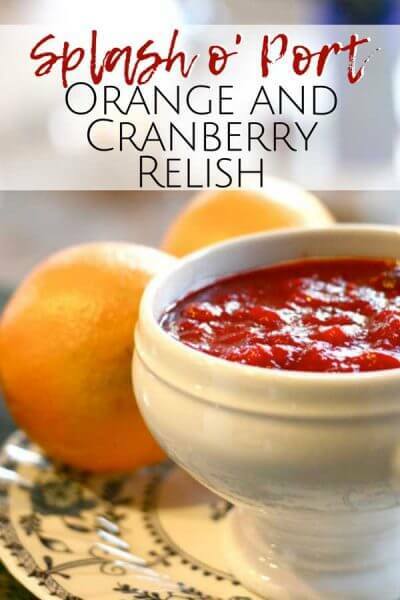 Your Holiday table needs this cranberry relish…enjoy! 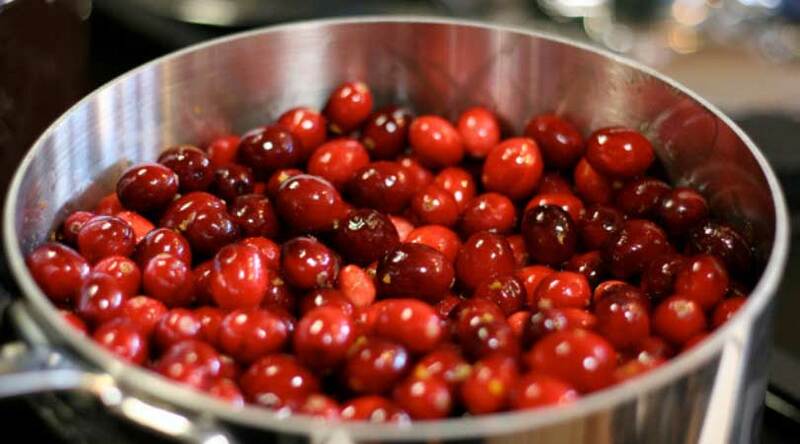 In a medium saucepan, over medium heat, bring cranberries, zest, port and juice to a gentle boil. Lower heat and add cinnamon and sugar. Stir over low heat until sugar dissolves. 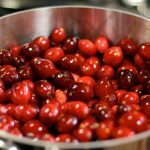 Once cranberries are soft, mash using a potato masher. In a cup, mix cornstarch and 2 tbsps of water. 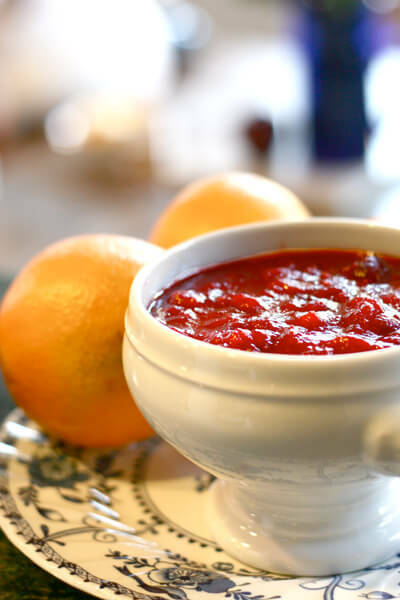 Whisk in cornstarch slurry to cranberry sauce and mix until the relish thickens. Serve slightly warm or cool. Tastes great the next day.